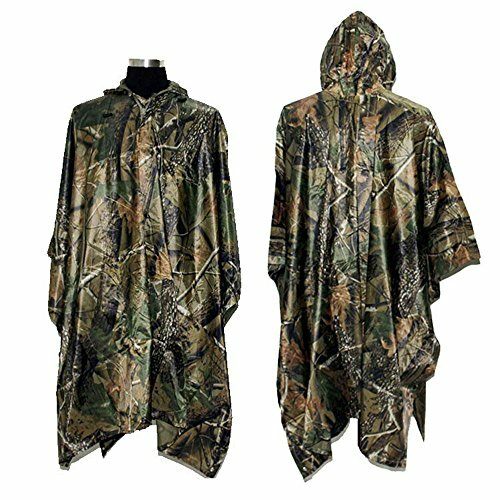 This ripstop poncho is 100% waterproof and called ripstop because of the special weave that runs through the material. it's originally a military designed material weave that is used in many fabrics and applications. a multi-function item has eyelets on the hem for use as a shelter or ground sheet, and press stud poppers on the sides allowing you to use it as a sleeping bag cover or even a poncho or basha. The poppers allow "sleeves" to be formed so you can still handle equipment easily. If you have any questions about this product by Rain Poncho, contact us by completing and submitting the form below. If you are looking for a specif part number, please include it with your message.